It may seem unthinkable, even sacrilegious, to make any changes to a course designed by the great Arnold Palmer. 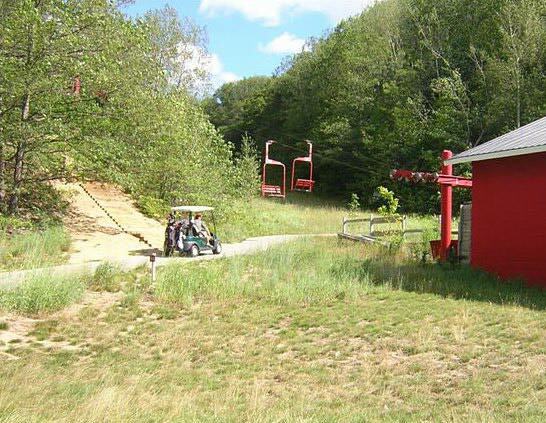 Originally opened in 1998 as King’s Challenge, the course languished a bit when Sugar Loaf Mountain Ski Resort closed (the course is built alongside the ski hill), so it needed some rejuvenating and updating. 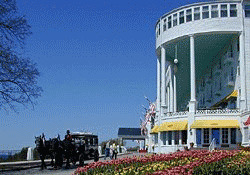 The new owners, headed up by Robert Kuras of The Homestead Resort, have done an excellent job. From the first turn in the drive and glimpse of the renovated clubhouse, the place feels welcoming. 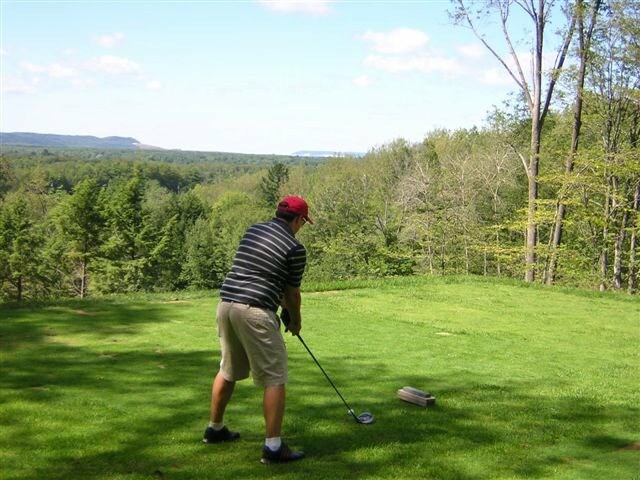 Once you’re on the 1st tee, nestled among trees, natural landscaping, and that big looming “mountain,” you know you’re in for a classic “up north” golf adventure. 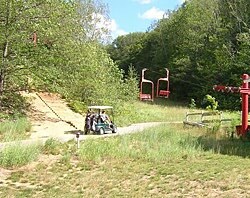 Palmer said during the course construction that it was one of the most dramatic sites he’s ever worked with, and he made full use of the extreme terrain. After a few fairly flat holes, he takes the track up the side of the mountain, perches a few holes up on the plateau, and then plunges back down to dramatic effect. The redesign has increased playability by enlarging many of the tee boxes, taking some severity out of a few doglegs, and widening some landing areas. The excellent bunkering throughout the course has been cleaned up and re-cut, giving it the crisp look such a monumental design deserves. One of the most noticeable and dramatic changes is the No. 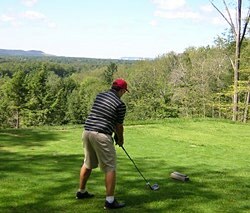 8 tee box, where some earth was moved to raise the surface and give golfers a better view. Now, a glimpse of Lake Michigan between Pyramid Point and South Manitou Island is visible, the namesake Manitou Passage. Those who know the historical significance of the Passage and its nickname “the Graveyard of the Great Lakes” can treat this as a sign to “batten down the hatches” and not let their round get shipwrecked. It’s a beautiful view to begin the course’s signature and probably most challenging hole. The downhill par 5 drops like a black-diamond ski slope, and when it finally flattens out, the dogleg reveals a water-guarded green — with your approach shot dead into the prevailing wind coming onshore from the aforementioned Passage. 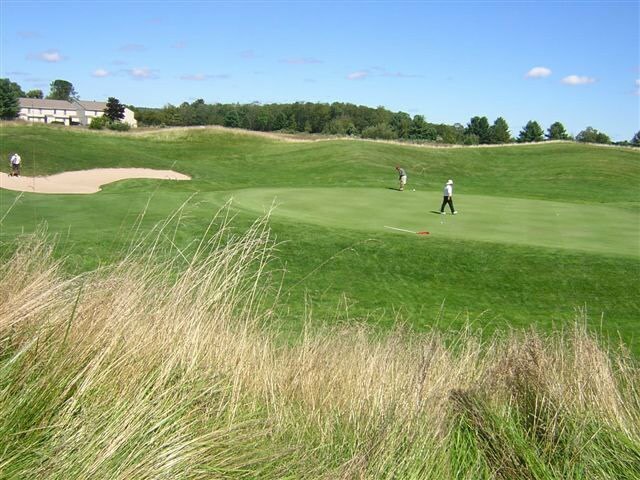 The pond is teeming with plants and wildlife, you can see the “mountain” in the background, and landing your approach shot dry is a major accomplishment and a great finish to one of northern Michigan’s most exciting golf holes. Maybe the most striking thing about this course is the variety — of terrain, of fairway slope, of green shape — there is always a surprise and always an interesting feature. On No. 4, you break out of the woods with a sweeping dogleg right that ends at a huge amphitheater green — not a tree in sight. The next two links-style holes are high and dry, a brief respite before you duck back into the forest. 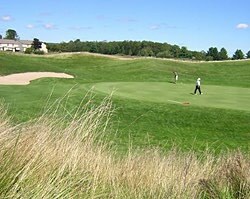 If you’re looking for a golf adventure in one of the most unique settings in northern Michigan, this is the course for you. Be prepared to cast off, trim your sails, and have a rollicking good time navigating this great Arnold Palmer creation at Manitou Passage.